I’ve been competing for a long time. 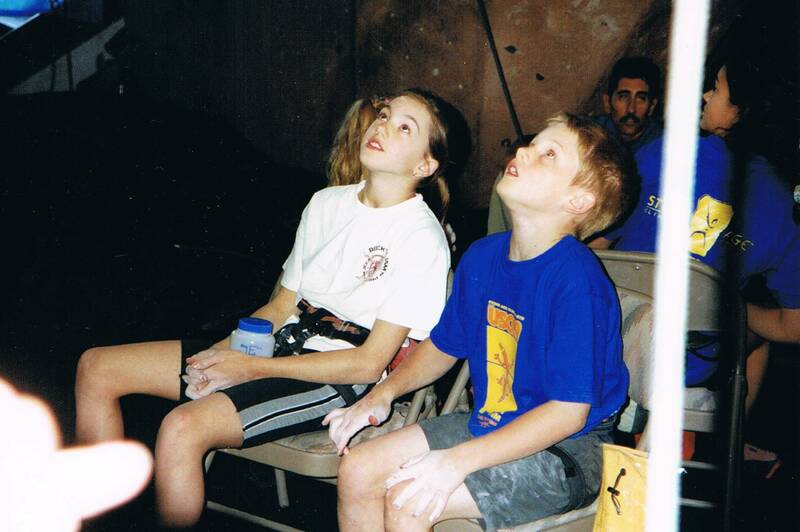 In fact, I began competing within a month of my first experience in the climbing gym. 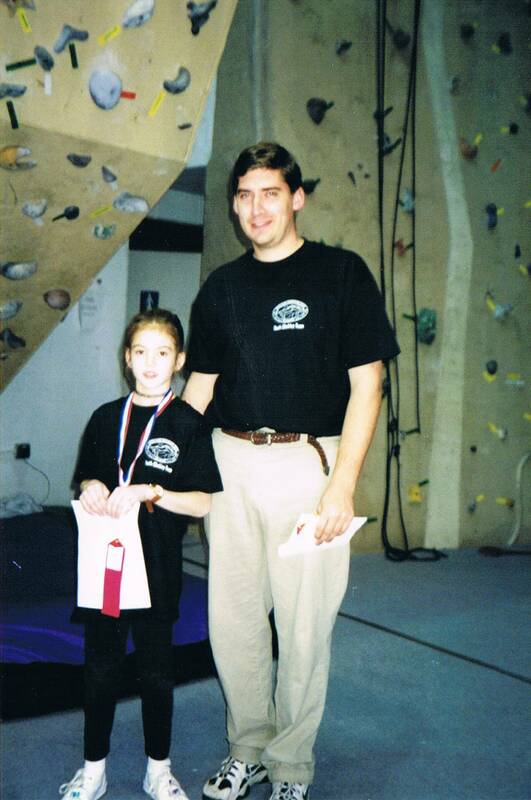 My first competition was part of the Estes Park Climbing Gym’s kids climbing program. It was there that I met some of my earliest and dearest climbing friends, cried after taking my first lead fall, and discovered my competitive edge after tying for first place with two gangly boys with whom I would later attend high school. 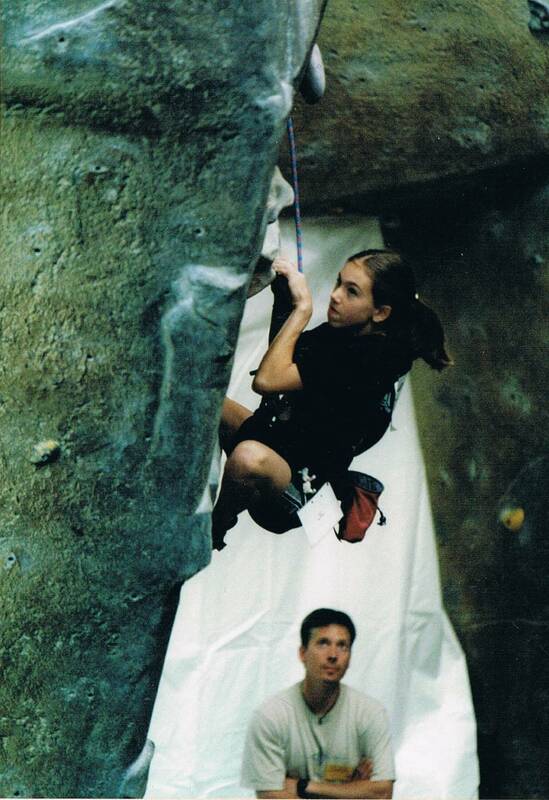 For the first seven years of my life as a climber, I thrived on competition. Nearly every weekend, and sometimes twice a weekend, my parents would drive me, my brother, and a slew of chattery ten year olds hoping to catch raffled t shirts and cliff bars, somewhere across the state for a competition. Bouldering, sport, youth, adult, local, national, it didn’t matter. All I wanted to do was train in the gym, scramble up plastic holds, and fill in my scorecard so I could stand on the podium and win a ribbon. Now, I have a giant box of ribbons and a load of memories filled with road trips to New Mexico, dyno competitions at Rock’n and Jam’n, over 40 DCL (Denver Climbing League) events, and many hours in the car with my incredibly energetic team, heckling my parents to pull over for ice cream. Much of the magic that initially consumed my ten year old competitive self has now disappeared. I have nothing against competitions, and I admire the people who diligently train to perform at their peak, under pressure, in front of hundreds or thousands of spectators. However, over the past few years, I’ve learned to accept that I would rather compete against myself than against my friends and peers. Deep down, I am very competitive. People who know me well may even say it’s not that deep, but rather quite obvious. Whether who can power walk down Pearl street faster, or who got the best grade on a high school Algebra exam, I like to win. However, I often don’t like the person I become in competitive situations. I begin to compare myself to my competitors as my mind grasps for methods to beat the people who are otherwise just my friends and climbing partners. This is not the person I want to be. So, I’ve made an effort to detach myself from competing against others and instead focus on what I can do to better myself as a climber, as a partner, and as a person. I thought I would miss the competitive scene, but I’ve actually grown to love pushing myself for myself, against myself, and towards my own goals outside. That said, I still feel the pressure to participate in competitions. That pressure, along with the excitement of Movement Climbing and Fitness in Boulder, Colorado hosting the United States’ first world cup in 22 years, drove me to compete this past weekend in the IFSC World Cup. To my surprise, I had a blast. Not only did I enjoy the time spent with visiting friends from across the country and world, but I also enjoyed the competition itself. 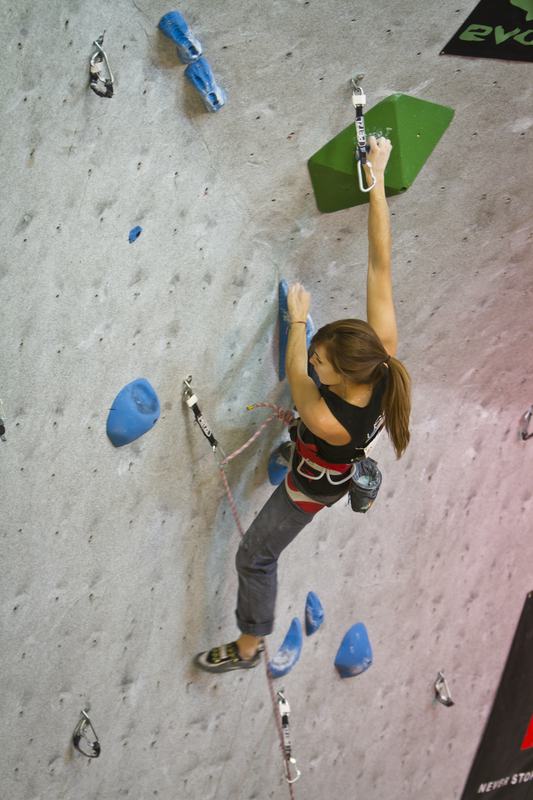 Movement, USA Climbing, IFSC, and the countless individuals involved in organizing the event did an incredible job. The competition ran on time (something that rarely, if ever, occurs in the climbing world), the routes were fun to climb and exciting to watch, and an electrifying energy from competitors and spectators alike penetrated the gym (This just in, there were officially 1,257 spectators at finals!). 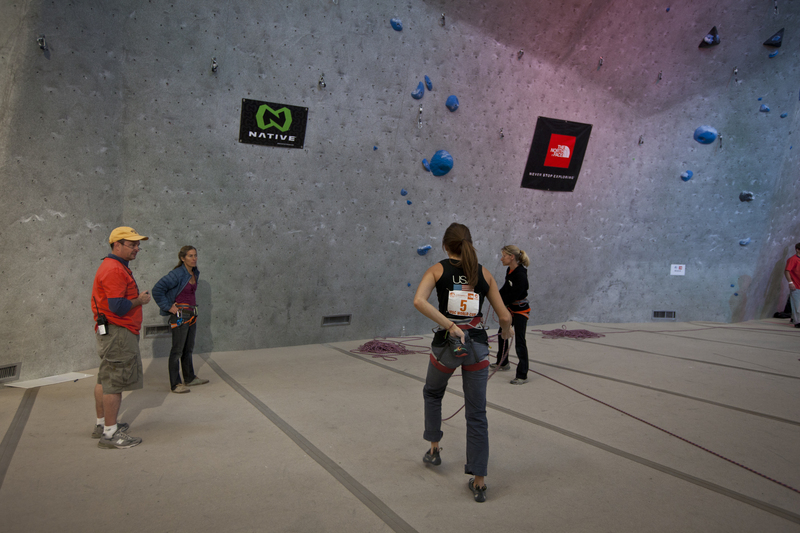 Best of all, I got to attend a sport climbing competition as a spectator for one of the first times in my life. I think I was more nervous to watch my friends Sasha DiGiulian and Matty Hong compete in finals than I’ve ever been participating myself, but these two proudly represented the US and proved they deserved to compete among the world’s best. Thanks to everyone who worked hard to make this weekend memorable and set the standard for many future world cups on US soil! Peter, balance is definitely important, albeit difficult to achieve. Thank you for the encouragement! Glad you got to check out the comp, it was definitely a good one to watch! I can relate to your sentiments about competition- thanks for the post! I look forward to one day returning to competitions just for fun, or as a spectator, but until then I’ll be playing, hiking, and rock climbing outside like you.